On the 4th May 1998 three local clubs namely; the Historic Motorcycle Club – Malta, the Old Motors Club and the Military Vehicles Collectors Club got together to form the Federazzjoni Maltija Vetturi Antiki (FMVA). Its goals were to further the interests of classic vehicle enthusiasts in Malta and to collectively lobby the authorities for favourable concessions. During 2010 and 2011 the FMVA was joined by the American Auto Club of Malta, the Military Vehicles Club of Gozo and the Valletta Grand Prix Foundation. In July 2015 the BMW Owners Club joined. 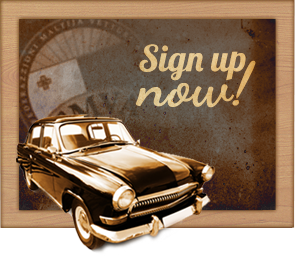 This means that the FMVA’s constituent clubs’ members now number around five-hundred making the it the largest federation in the Maltese Islands catering specifically for the interests of classic vehicle owners. The FMVA is a member of FIVA the Fédération Internationale des Véhicules Anciens and is the official ANF (National FIVA Authority) for Malta & Gozo. FIVA was founded in 1966 and has over 85 member organisations in more than 62 countries throughout the world, which in turn represent more than 1.5 million historic vehicle enthusiasts. 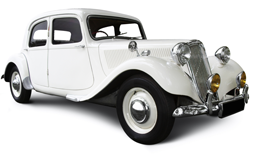 FIVA also lobbies the relevant authorities to protect the interests of historic vehicle owners from ever-more stringent regulations, in order to ensure the continued use of classic vehicles. Copyright © 2011 - All documents, texts and images in this website are the intellectual property of the Federazzjoni Maltija Vetturi Antiki (FMVA). No part of it may be reproduced or copied by any means without the express written permission of the owners.